Save $30 if your reservation is made before October 9, 2018 for our Winter Break packages. Save $30 if your reservation is made before January 30, 2019 for our Spring Break packages. Looking for a place for your group to ski and board during your upcoming break, but needing to keep it within everyone’s budget? Give us a call for a group discount, or complete the custom trip form. We can organize a trip that best fits your group’s needs with customized check-in/check-out dates and lift passes, at a specific property that the whole group will be happy with. We can also plan private happy hours and parties for the group! Why waste your time looking for the lowest airfare prices? UBSki has already done the work for you. We offer discounted flights from Houston, Dallas, Austin and New Orleans. Don’t see your departure city? Give us a call for optional gateways. Are you going to use your air miles and already have an airline ticket, but need to get from the Denver Airport to Breckenridge? We can help! 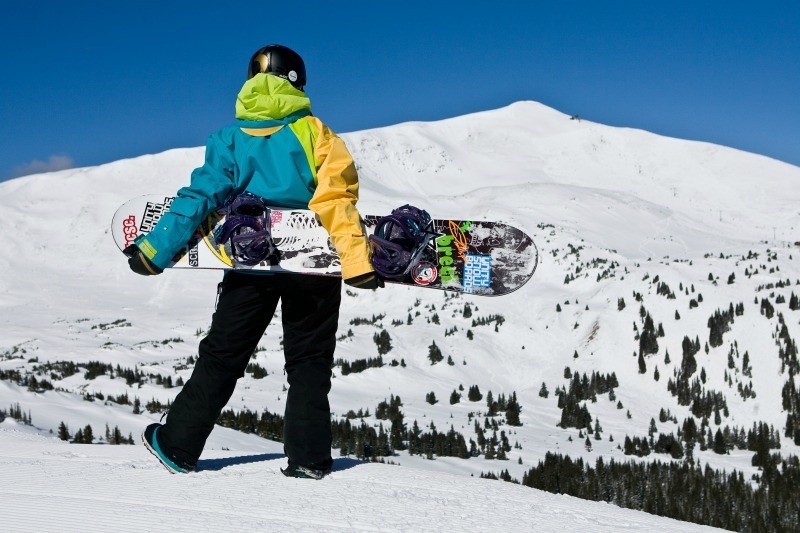 We offer transfers from the Denver Airport to Breckenridge for a great price. Our rates are 30% less than most of the transfer companies in the airport. Transfers are offered for our exact trip dates, so your flight times must coincide with our scheduled departure times. Please confirm your flight information with a UBSki representative to make sure you can take our transfer. Don’t think your car or truck can make it all the way to Breckenridge? No problem! We offer roundtrip motorcoach transportation from Houston, Austin, Dallas, College Station and Oklahoma City. Travel in luxury – all of our motorcoaches are equipped with reclining seats, footrests, window shades, flatscreen LCD Monitors with DVD players, restrooms, high panoramic views and overhead lighting. All buses will depart the night before the trip, so you still get the 6 full days of your trip! If you have a big group, call us for discounted rates and additional cities! Don’t waste your valuable mountain time running around town looking for cheap equipment rentals. We offer heavily discounted equipment rental rates on skis, snowboards, and helmets ranging from basic to demo packages from Peak Sports and Christy Sports (the largest ski rental companies in the Rockies). Our rates are on average 30% less than most ski shop walk-in rates. Plus, renting through Peak Sports or Christy Sports guarantees the best equipment, personalized service and the best rates. Choose from three locations, for your convenience! Parties, Happy Hours And More…. You’ve just finished hitting the slopes with your friends and now you’re ready to hit Main Street for a night of non-stop partying. We’ve got you covered! With any purchase from UBSki, you receive the official UBSki “College Ski & Board Week” party schedule and wristband. Your UBSki wristband will get you FREE cover charges, FREE beer parties, happy hour specials and big discounts at local bars, restaurants and shops! » FREE beer parties are WINTER BREAK ONLY. » All Bars & Restaurants adhere to the Colorado drinking laws and will check IDs.